The Northwest Historical Annual Reports Collection is a growing digital collection of annual financial reports of companies currently or historically based in the Pacific Northwest. The collection includes annual reports dating from the 1930s and provides a continuous run of annual reports for most of the companies up to the 1990s. 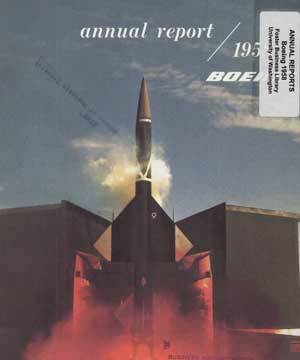 Corporate annual reports are a unique historical document that not only chronicles the life of the company but changes in industrial and graphic design and the evolution of the economic structure of a region. The companies and annual reports presented here are just a small part of Foster Business Library annual reports collection that includes reports from over 800 U.S. and international companies. The images for the Northwest Historical Annual Reports Collection were researched and scanned by the staff at the University of Washington, Foster Business Library. Images were scanned in full color and saved in TIFF format for preservation purposes and converted to JPEG for inclusion in this database. Some manipulation of the images was done to ensure the clearest possible digital images. The scanned images were linked with descriptive data using the ContentDM software.